108 Tantalizing vegetarian recipes, most with vegan options and gluten free. More than 60 full-page color photos. Sacred & Delicious is much more than a cookbook! It’s a primer on India’s ancient dietary approach to wellness, a food memoir, and a glorious cookbook that celebrates the sacred and healing power of food. Recipes span the day from breads and breakfast to delicious soups, entrées, salads, sides – and yes – special occasion desserts! 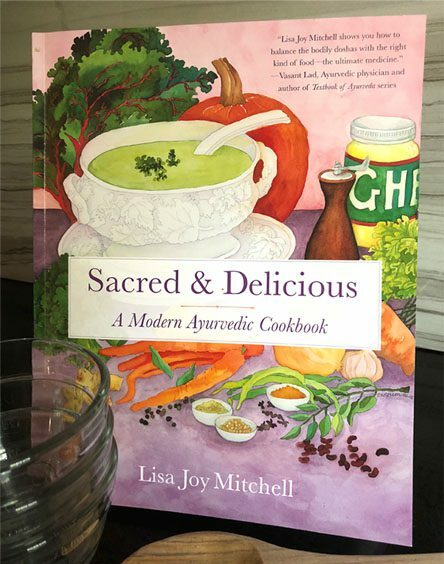 Sacred & Delicious offers a time-tested nutritional plan that embodies traditional Ayurvedic wisdom while appealing to a modern American palate and dietary needs. With insights about conscious eating and conscious living, this book can help you sustain or regain your health and vitality…deliciously! “Wow! Such pure, delicious food, so delicately spiced to perfection. “I have never seen a more thoughtfully written book on health or diet. Ever. ~Debra Poneman, author of What, No Meat!?! and founder of Yes to Success Seminars, Inc. 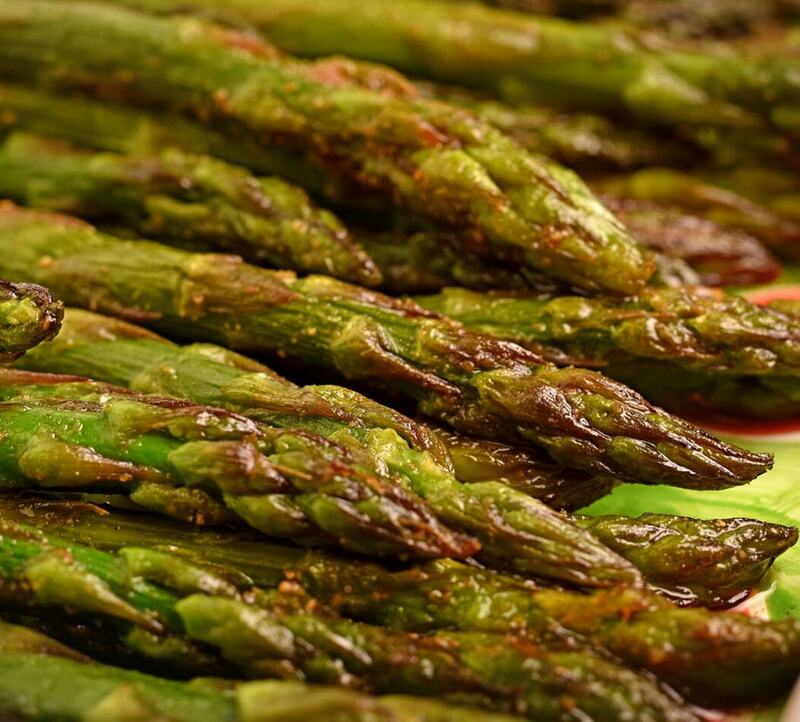 This spring dish is one of my “Seven-Minute Sides” because it’s so quick and easy to make. 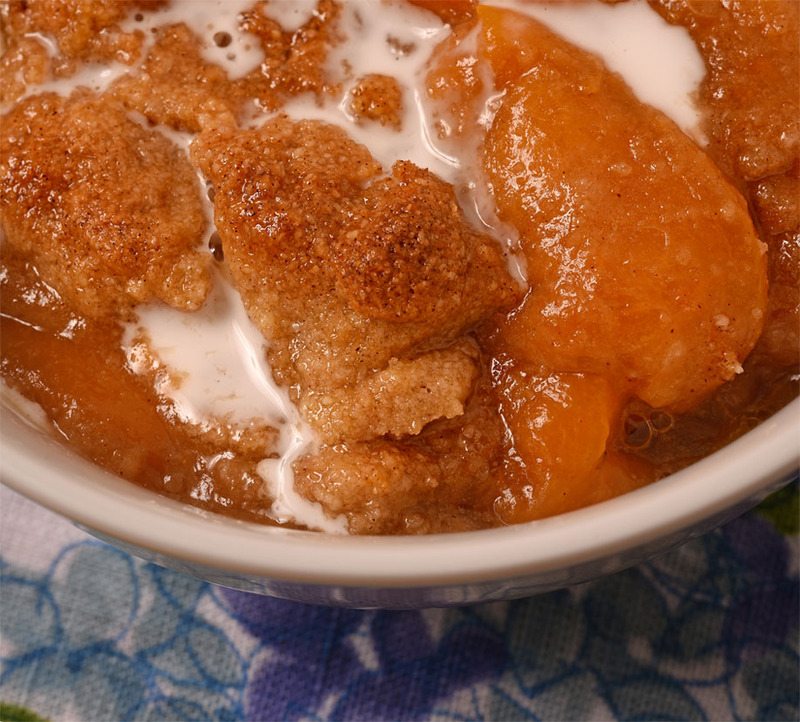 Uummm…fresh peaches with an almond flour and maple sugar crust, drizzled with coconut cream…the perfect summer dessert! 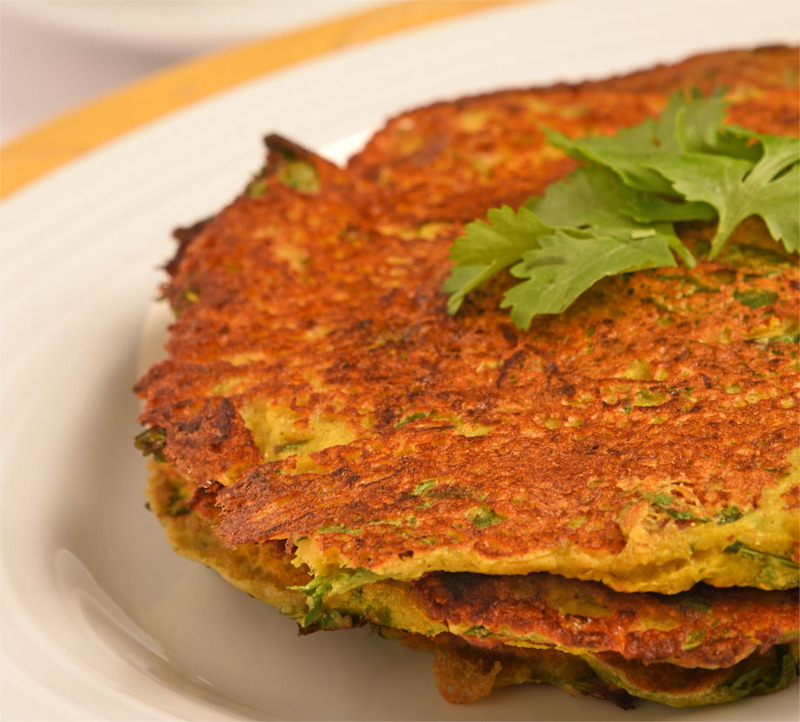 A wonderfully flavorful pancake for breakfast or brunch and a winning side dish with lunch or dinner. 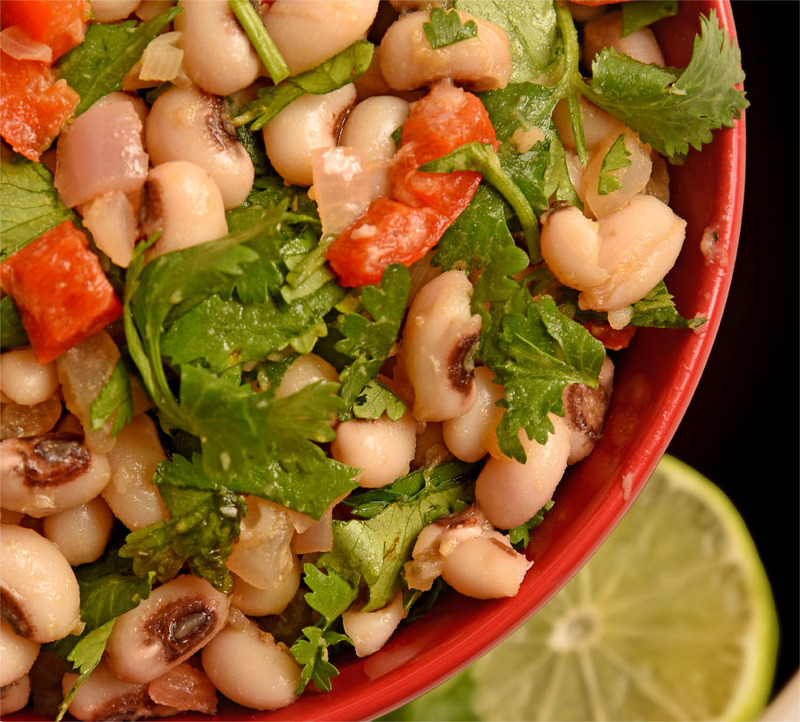 This zesty salad, side dish, or vegan protein will bring good luck in the New Year and be applauded when it’s served every month of the year. 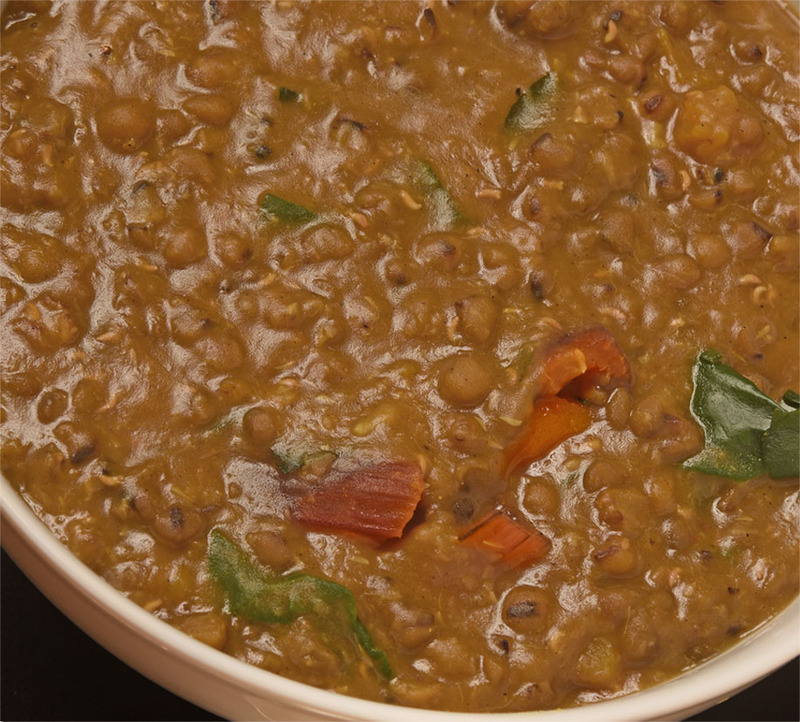 This hearty soup of mung beans and vegetables is one of the best foods on the planet for vegetarians and omnivores alike. 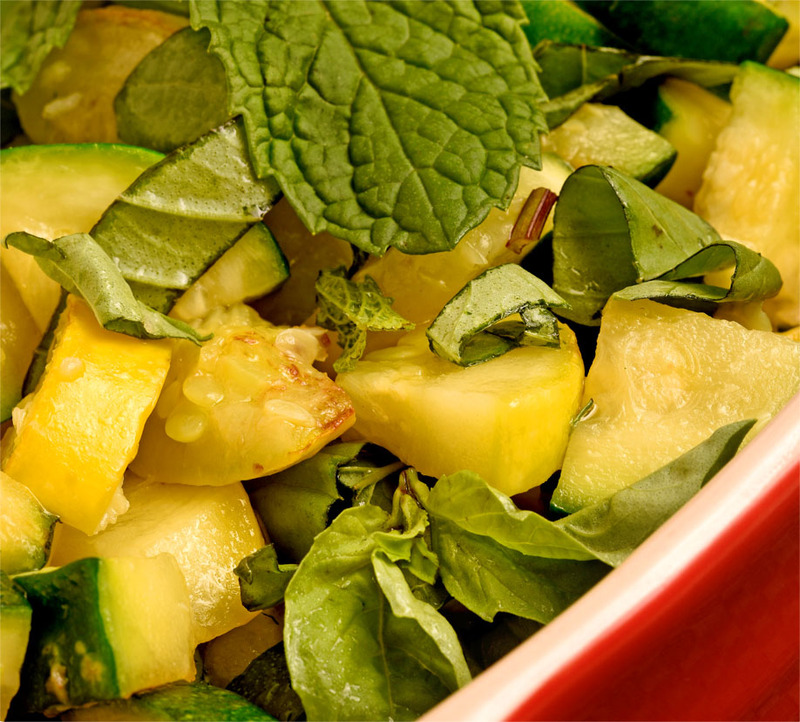 Packed with vegan protein, this satisfying dish is naturally detoxifying. 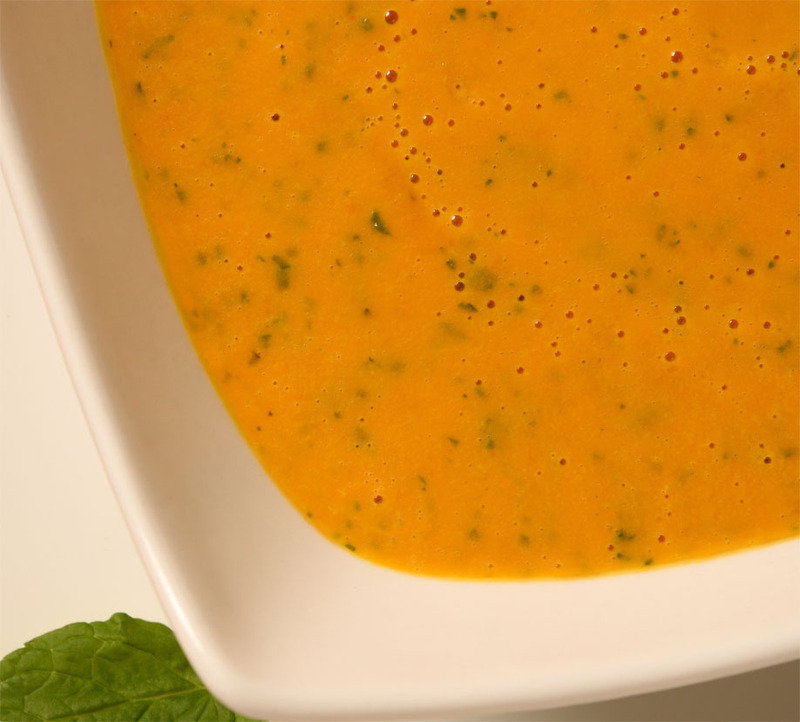 My all-time favorite summer soup with coconut milk, cilantro, and mint…that transitions into winter with by switching ingredients to almond milk, fresh basil, and ginger. When you need an easy 20-minute side dish that goes with just about everything, this is your go-to recipe. 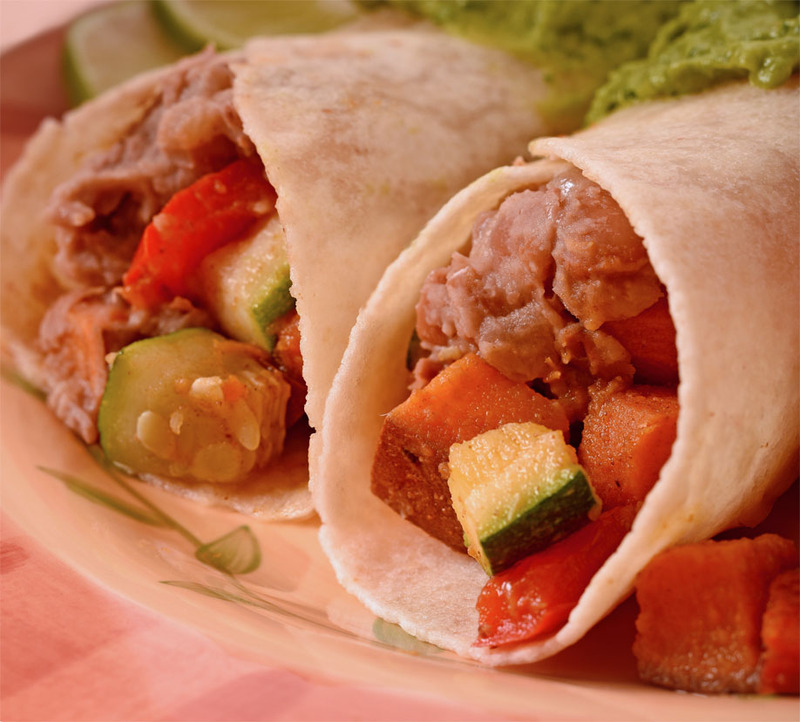 This Mexican-style entrée may become your favorite quick meal! Served here with Refried Beans and Guacamole.